Doctor Who and Sherlock Holmes fandoms have seen quite a lot of over lap in recent years thanks to one man, Steven Moffat. Steven Moffat who was already one of the most popular Doctor Who writers took over as showrunner in 2010. During his time the show was restored to its former status as a global sensation. At the same time Moffat has also produced a modern day version of Sherlock Holmes. Called simply “Sherlock”. “Sherlock” has proven to be a massive success critically and commercially around the world. Indeed both Doctor Who and Sherlock are arguably among the two most popular British scripted television series around the world right now. However the two franchises have been quite closely linked with one another for many years prior, and long before the days of “Wholock” there were a number of comparisons that were drawn between the characters of the Doctor and Sherlock Holmes. Even the makers of Doctor Who including Barry Letts and Robert Holmes often compared the Time Lord to the Great Detective. In this article we will be looking at the many similarities between the two British icons as we examine Sherlock Holmes’s influence on Doctor Who overall. 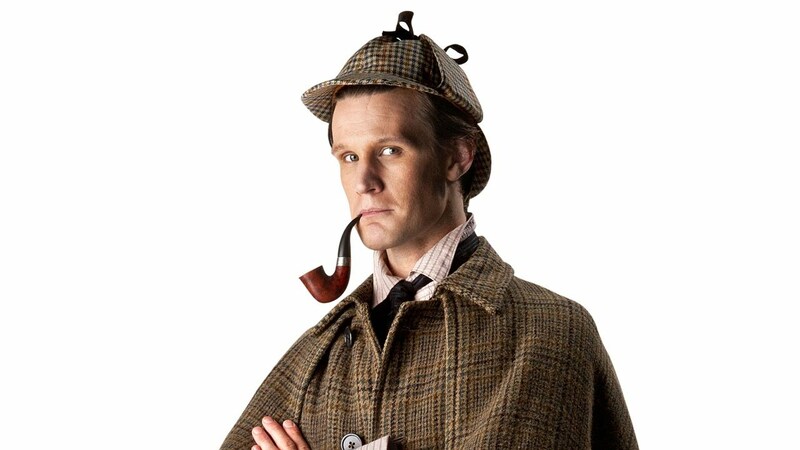 The character of the Doctor was always very similar to Sherlock Holmes in some ways. The two were old fashioned, somewhat gentlemanly heroes who were very British. Even though the Doctor is an alien he still fits that mould. Both are also heroes who use their mind to solve their problems and both the Doctor and Holmes are also somewhat difficult to live with. They are arrogant, have no social skills and can be quite rude and even condescending to their friends. The Doctors relationship with his companions was often comparable to Holmes with Watson. Both Watson and the Doctors companions look on the Doctor and Holmes in awe due to their intellect, but also in some ways cut them down to size and keep them on their toes too. Both the Doctor and Holmes are also asexual too. In contrast to heroes like James T Kirk and James Bond or even supposedly loner heroes like Batman who still always have to have a love interest of some kind, Catwoman, Vicki Vale, Poison Ivy etc, the Doctor and Holmes (at least the Doctor during the classic era) have no romantic relationships at all. Whilst these parallels between the two characters could always be found way back to the Hartnell era, it was really during Jon Pertwee’s time when Sherlock Holmes began to have a strong influence on Doctor. 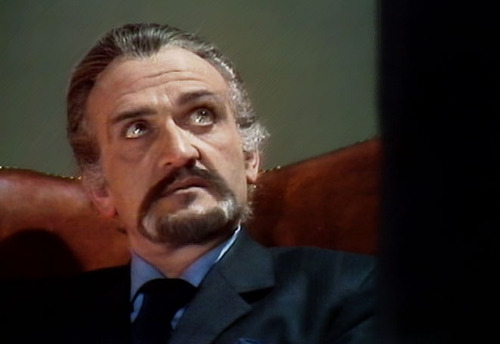 The Doctors new archenemy introduced in the Pertwee era, The Master, was based entirely on Professor Moriarty, Holmes nemesis. Barry Letts the producer of the show during the Pertwee era said that what the Doctor really needed was a Moriarty, a rival who was his equal in every respect. Letts said that he himself felt the Doctor was essentially the same type of character as Sherlock Holmes, and that the Brigadier, a regular at that point was his Watson. You can see how Delgado’s Master is very much modelled on Moriarty in every respect, from his status as the heroes dark twin and mastermind behind his lesser enemies to Delgado’s calm, restrained and charming performance. Other actors and writers would continue with the Moriarty angel on the Masters character. The Doctor and the Masters confrontation in “Logopolis” the 4th Doctors last story was very closely inspired by Holmes and Moriarty’s final confrontation above the Reichenbach falls in “The Finale Problem”. Just like Holmes and Moriarty, The 4th Doctor and the Master battle atop a high place which ends with one of them falling to their apparent deaths. It should also be noted that this was the final appearance of the 4th Doctor whilst “The Final Problem” was intended to be the final appearance of Sherlock Holmes. Both final battles see the hero grappling with their arch foe above a huge drop, and though both apparently fall to their deaths, they ultimately manage to survive. In the Doctors case however the 4th Doctor does actually die, but the character overall survives. Another prominent example of Sherlock Holmes influence on Doctor Who can be seen in the 4th Doctor story “The Talons of Weng Chiang” which draws on many Holmes stories overall and even goes to the extent of dressing the Doctor in a Sherlock Holmes outfit. Robert Holmes who wrote the adventure strangely enough was not a fan of Sherlock Holmes, but said he found the setting of the stories in Victorian London interesting which is why he gave Talons a similar setting. It is ironic that Robert Holmes the author from the classic Who that drew the most obvious comparisons between the Doctor and the great Detective didn’t even like Sherlock Holmes at all! When Steven Moffat took over Doctor Who as its showrunner not surprisingly the comparisons as well as the tributes and nods to Sherlock Holmes became a lot stronger than ever before. “The Wedding of River Song” much like “Logopolis” draws very heavily on “The Final Problem” in fact arguably even more so. 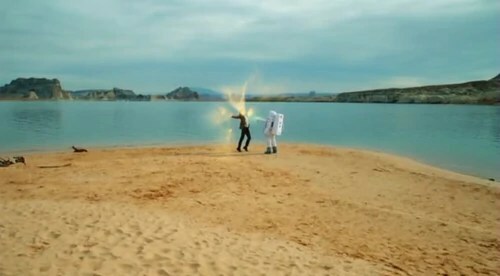 “The Wedding of River Song” sees the Doctor face his greatest challenge yet. His impending death that is a fixed point from which there is no escape, that has been orchestrated by an old enemy. The Doctor much like Holmes in the final problem must face his death for the good of everyone else. Lake Silenco is the Doctors Reichenbach Falls. The characters of Madame Vastra and her wife Jenny Flint created by Steven Moffat, are two crime fighters from 19th century London and in the 2012 Christmas special “The Snowmen” they were revealed to have been the inspiration to Sir Arthur Conan for Sherlock Holmes. Vastra who is a Silurian would even be referred to as “the female Sherlock Holmes from the dawn of time”. The 11th Doctor would also much like the 4th Doctor dress in a Sherlock Holmes outfit in this same episode. However whilst Steven Moffat has taken some inspiration from Sherlock Holmes for his Doctor Who work he has interestingly enough said that he feels the Doctor and Sherlock Holmes are actually polar opposites. Moffat has referred to “Sherlock” as a dark foil to his take on Doctor Who. He has said that the Doctor is a virtually omnipotent being who needs his human friends to keep him down to earth, whilst Sherlock Holmes is an ordinary human who wants to prove he is better than everybody else and shuns close relationships with people. Moffat said “The Doctor is an Angel who wants to be human. Sherlock is a human who wants to be a god”. Still despite this I don’t think it can be denied that there are certainly a number of strong comparisons that can be made between the two characters and that Sherlock Holmes has had quite a large influence on Doctor Who over the years. I loved the Moffat quote. I was wondering in what way he would justify saying the two characters were polar opposites. I know I’ve seen several Wholockians wish upon a star for Cumberbatch to take over for Smith (and now, I assume, Capaldi). He’s a talented actor and well cast, but I would fear for the boundaries of the shows if the two leads were played by one man. I think he would have made an interesting Doctor before he was cast as Sherlock, but now that he has that role in hand, he shouldn’t try to balance the two. What’s your opinion on Moffat being show runner for both? I worry that he’s going to wear himself out too quickly. On the other hand, we have a secret weapon: he’s a fan. I think that’s what kept Tennant going longer than the role is usually played, and have hopes that it will similarly protect Capaldi. But Moffat’s bearing a massive load. We just have to hope that the joy and play that come from working on near magical projects is enough to counteract the BS and red tape that surely come with the job, too. Glad you liked the article. I think Moffat is definitely nearing the end of his time on Who. Who is a full commitment remember and I think he is beginning to burn out as show runner for Who. You know I haven’t been happy with some of the decisions he has made recently, but I think 4 years is long enough for any showrunner. I mean Bob Holmes and Hinchcliff did three years, Barry Letts did 5 years and his last year IMO is not anywhere near as strong as his previous seasons. I have no objections to Moffat continuing to write for Who afterwards. hell Bob Holmes did his best story after his stint as script editor. Wouldn’t it be cool to think Moffs Caves of Androzani is yet to come. Sherlock however I think he could keep doing that for years as its only 3 episodes over 2 years. Also I must admit I am not sure I like the idea of a showrunner. I think its better to have two people run it like Who used to and like Sherlock is now. So I hope after Mofffat goes we go back to that. I think a showrunner is bad for many reasons, even though RTD and Moffat did a good job, I think they like anyone else would be in that situation have too much control, also they are often made the fall guys whenever anything goes wrong. Even though I adore Moffat, I think you’re right about the strain of the two mega-projects starting to wear him down. I hope when he leaves he is allowed to depart on a high note. You had a fantastic idea about him continuing to write for Who, as I think he’d be able to pump the series with his creativity without having to endure as many nasty comments. It would be such a relief if he continued on with Sherlock–losing him from both positions at the same time couldn’t turn out well. Good point about the two person team vs. having a single showrunner. Actually, that wouldn’t be a bad idea for phasing Moffat out, when the time comes. I realize that many people want a clean break and a swift replacement, but I value continuity, especially being in the middle of a Doctor’s run. You always give me a lot to ponder. Thank you!